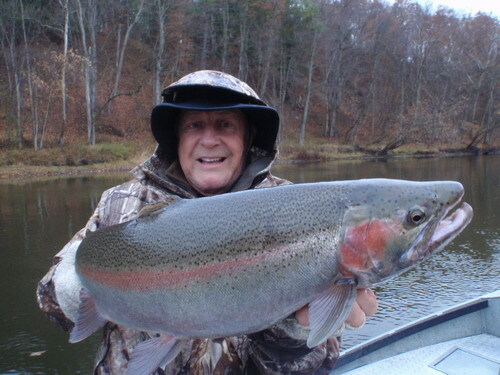 Don with the big fish of the day. 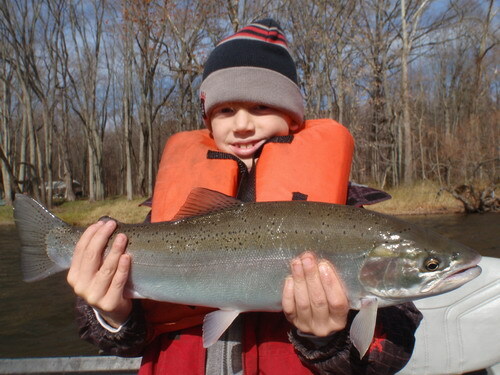 These guys put on a clinic today, double digits before lunch!! 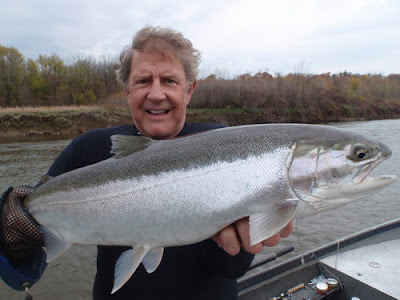 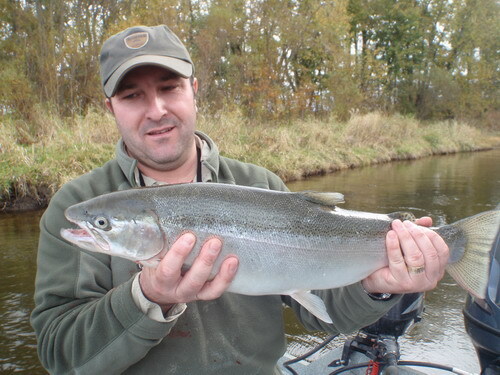 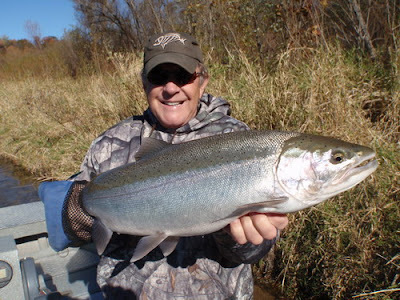 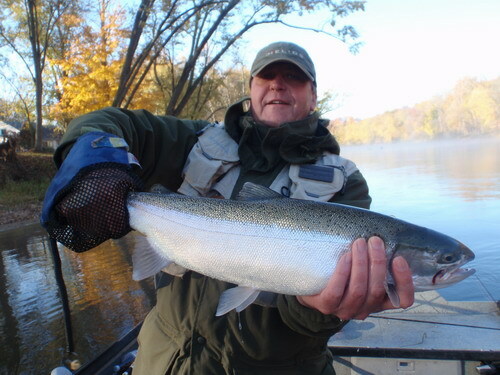 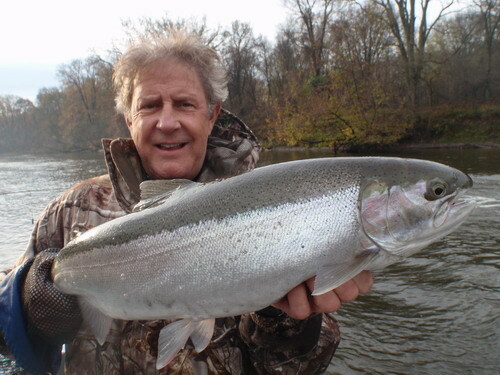 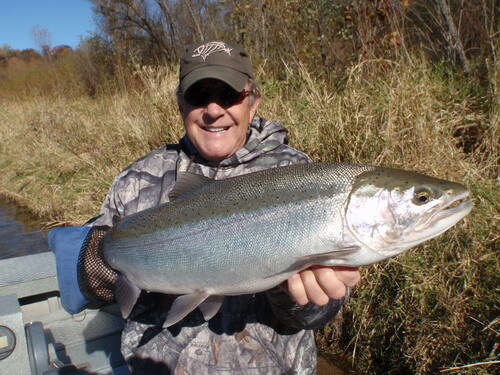 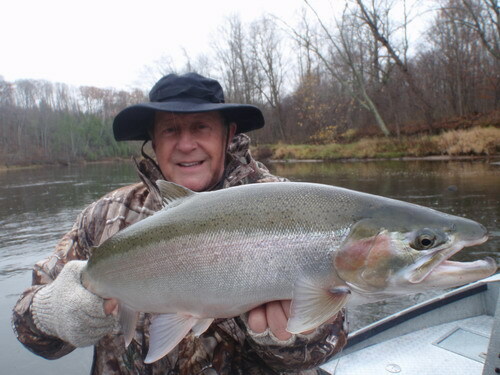 Don with a nice big buck Steelhead. 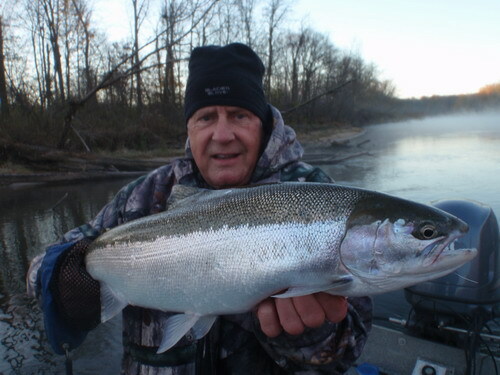 Fred with a nice chrome hen. 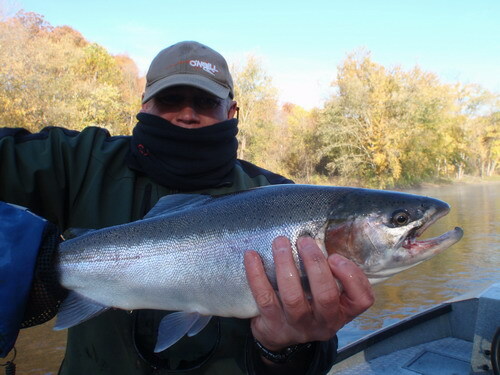 Steelhead fishing just doesn't get any better than the last couple trips we have had. 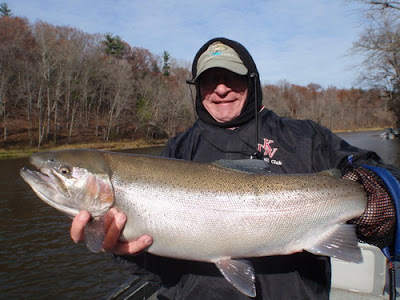 Ed and Scott joined me on the Muskegon River Sunday and landed more Steelhead in a half day than anyone could ask for in 2 full days. 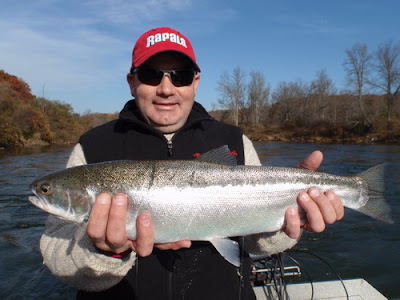 I had a much needed day off Monday, only my second since returning from Alaska back in September, then Ray and Colin joined me for what would be another unbelievable day. 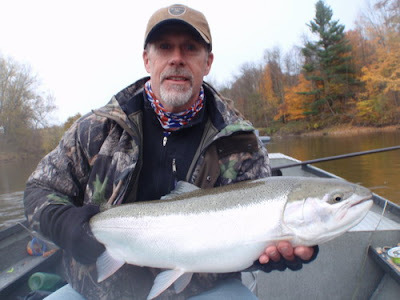 Despite the forecasted high winds we decided to hit it anyway and put just shy of 20 Steelhead to the net by 11:30 a.m. when we called it quits not because of the wind but sore arms. 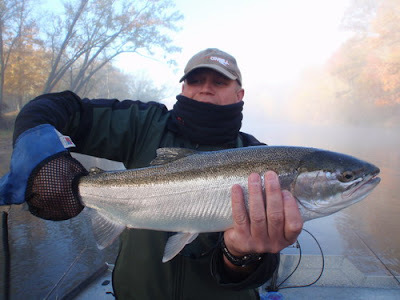 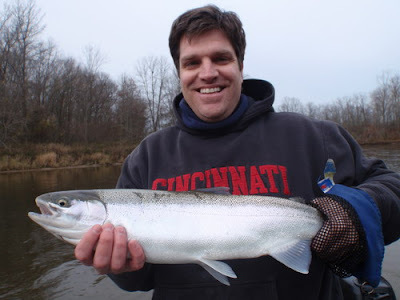 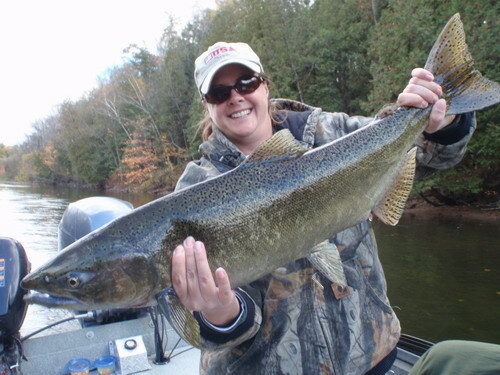 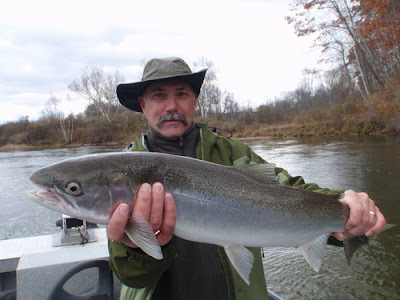 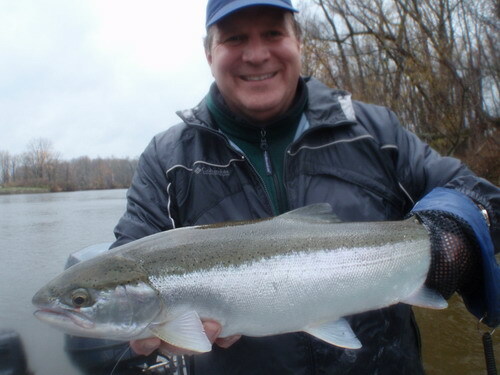 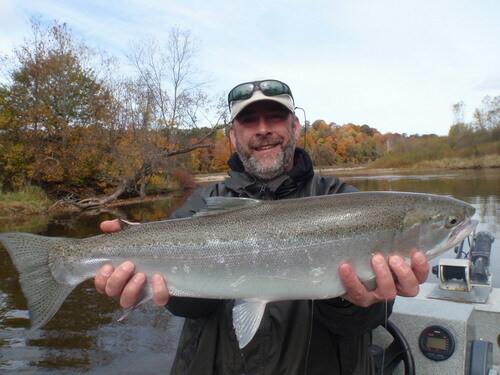 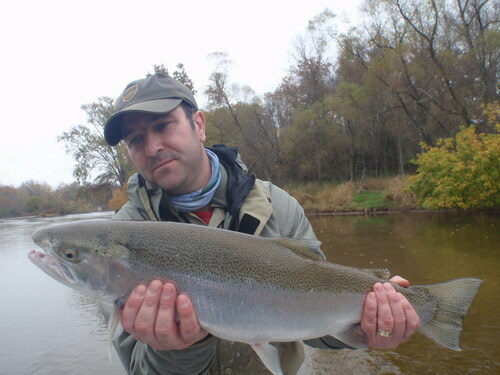 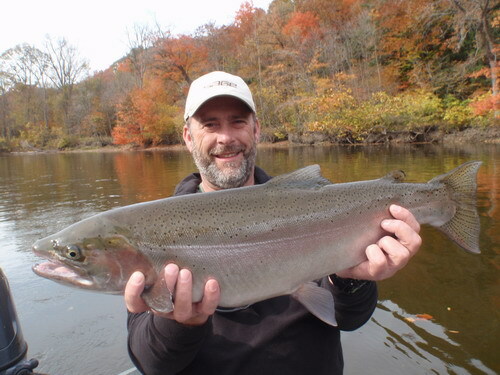 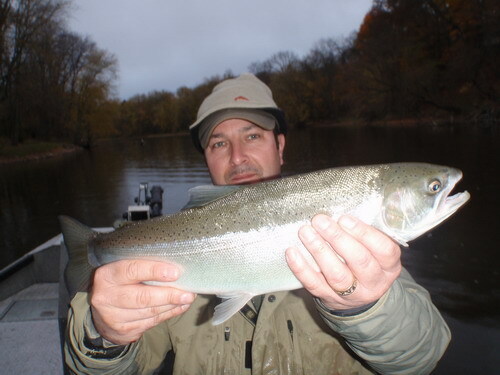 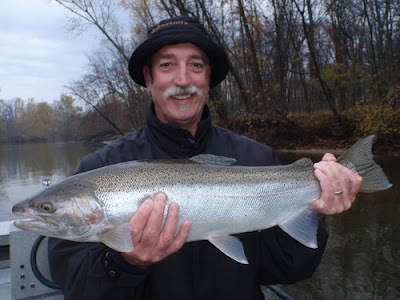 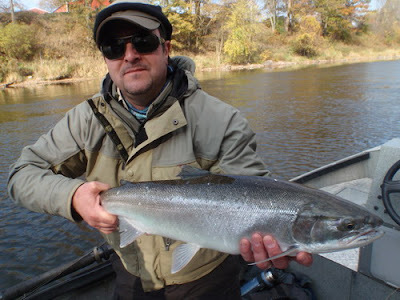 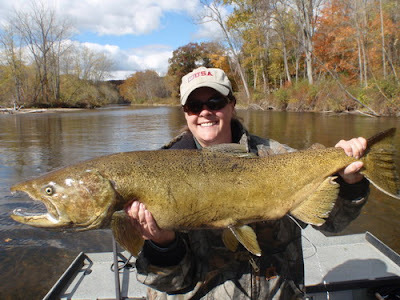 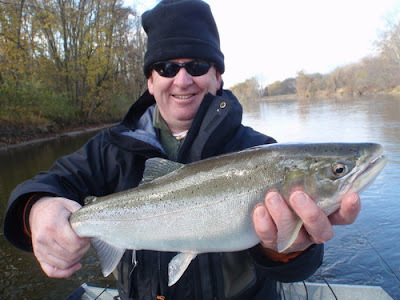 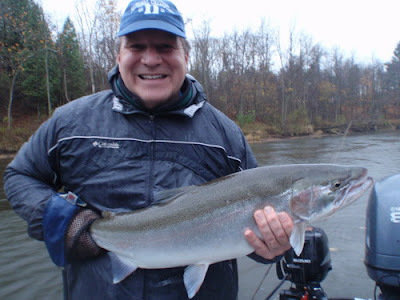 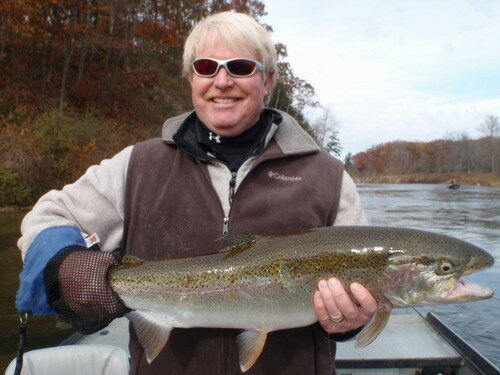 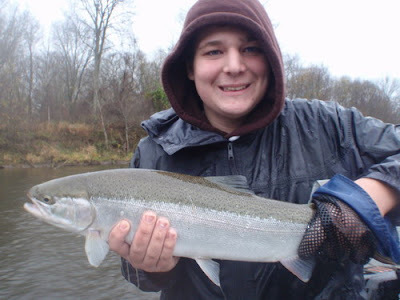 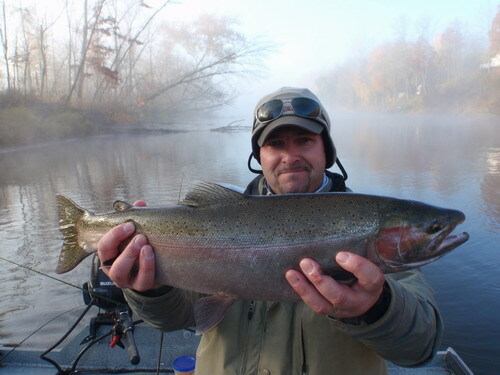 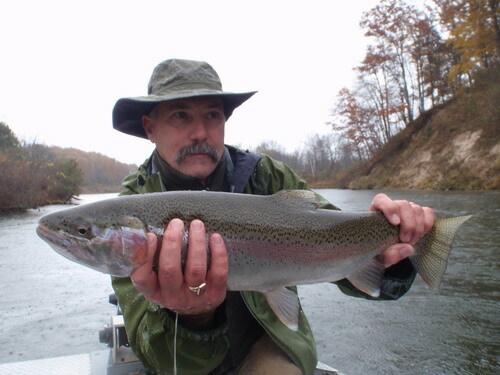 With rising water levels look for another surge of fresh chrome Michigan Fall Steelhead to charge up river and join the already healthy population of our chrome friends. 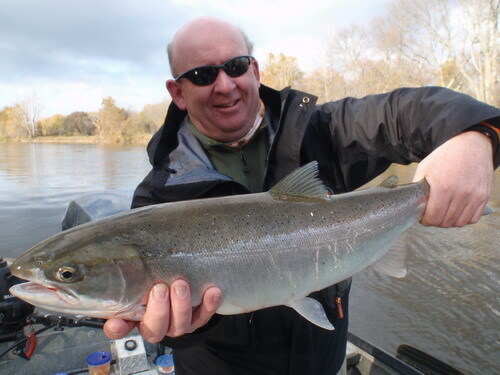 Steelhead fishing should be nothing short of fantastic through November so if you are thinking of a guided trip I suggest you wait no longer as open dates will fill up soon. 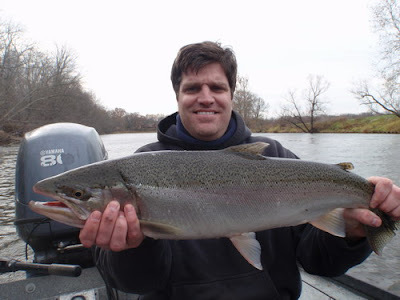 Call or e-mail for more info or to lock in a day. 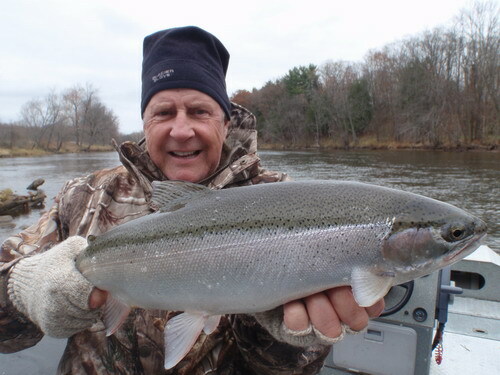 Ray is all smiles after landing this buck. 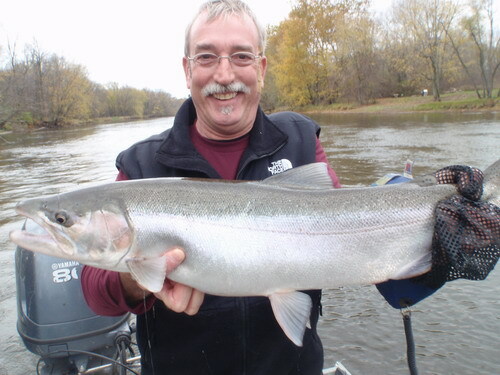 This hen was as shiny as a new dime!! Colin with a hard fighting buck from today. 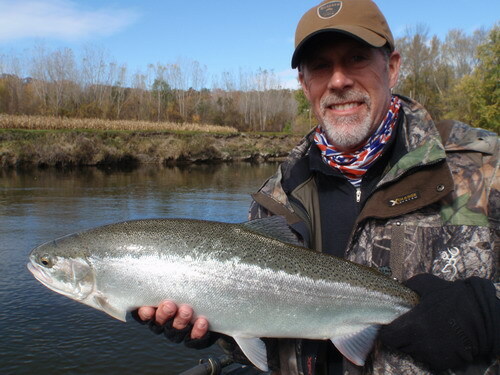 Gary holding a bright hen Steelhead. 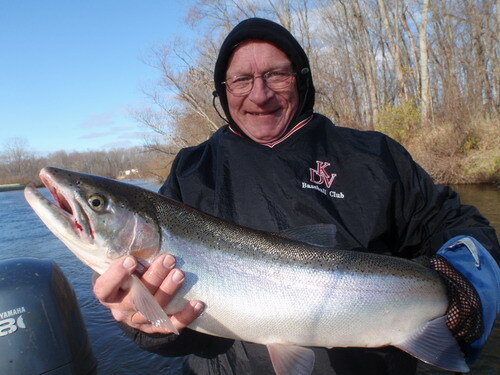 Jim with the reward of a hard fought battle. 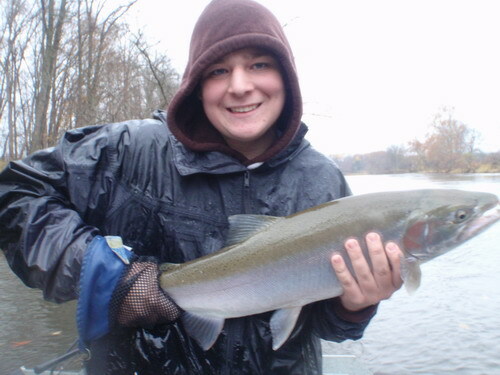 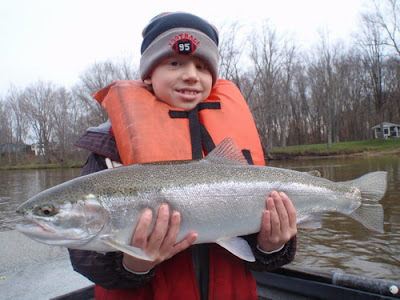 Clark with a Manistee River hen Steelhead. 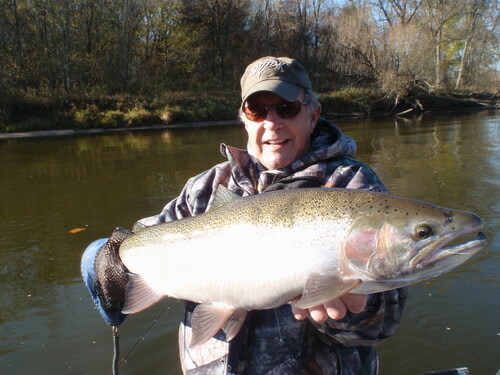 A nice Manistee River Buck. 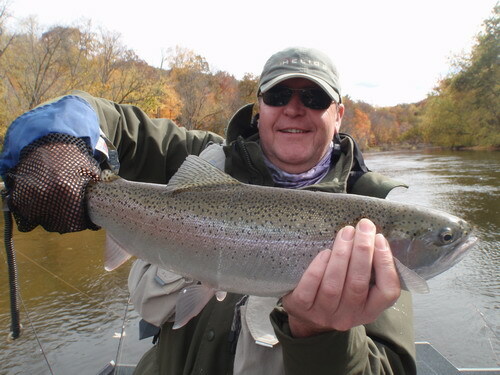 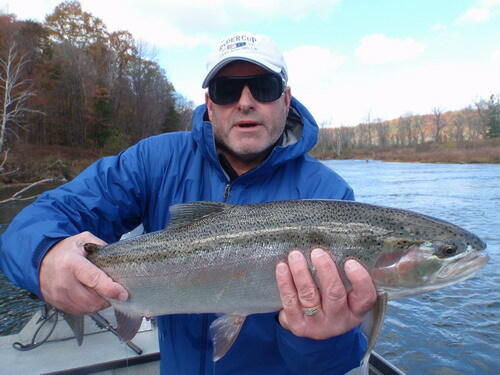 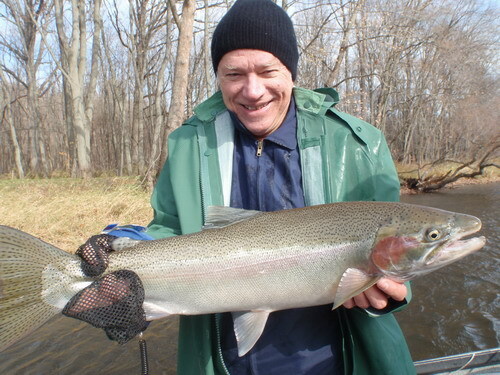 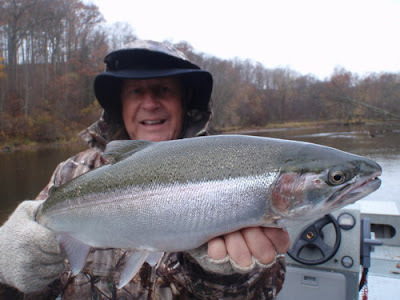 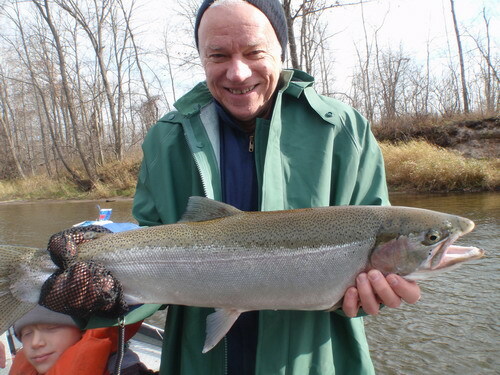 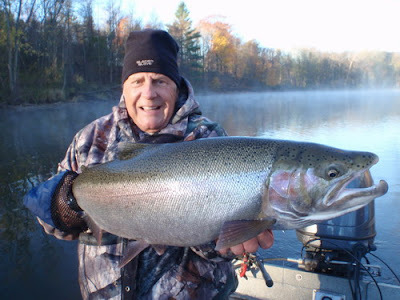 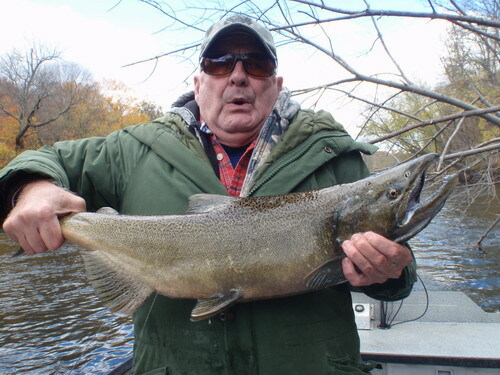 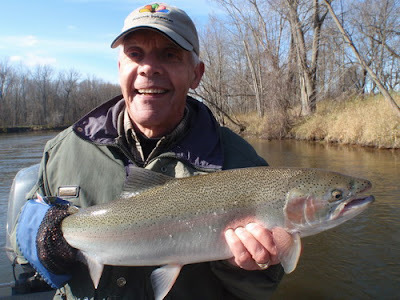 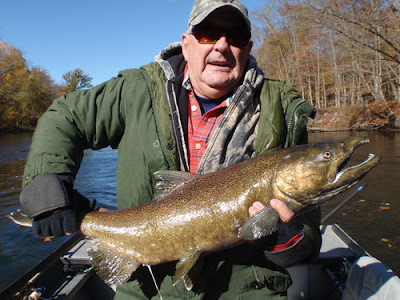 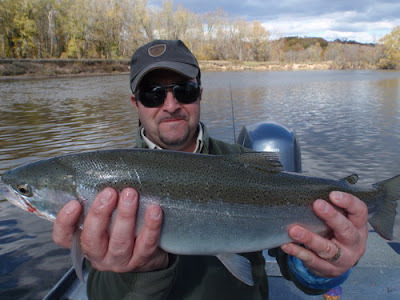 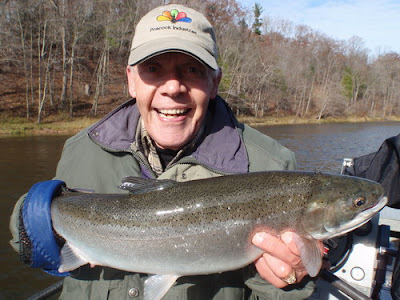 Bob with a fine Manistee River Steelhead.